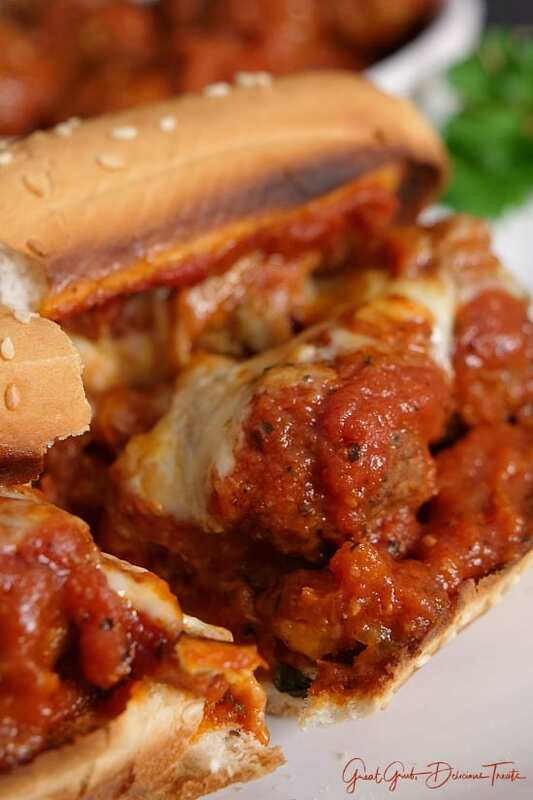 One of our favorite sandwiches are meatball subs sandwiches. 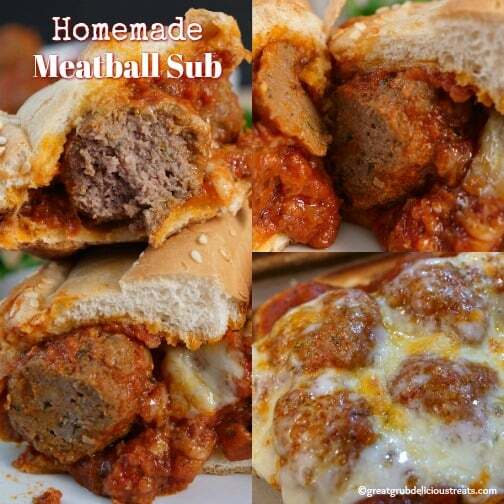 This homemade meatball sub is made using our delicious Homemade Italian Meatball recipe. 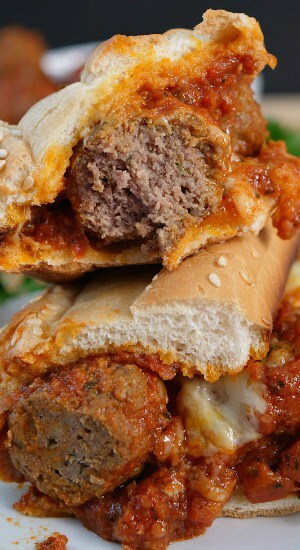 Who doesn’t love a good ol’ homemade meatball sandwich? 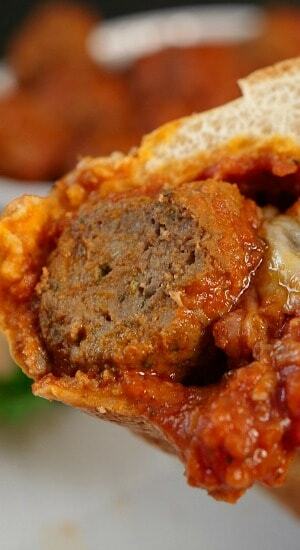 The Italian meatballs are so flavorful and are perfect for this meatball sub recipe. 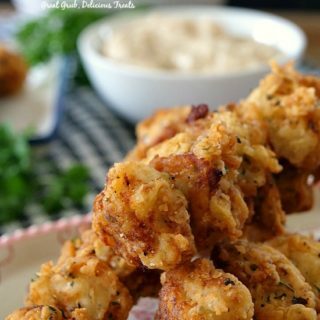 Homemade meatballs are 10x’s better then store bought, but in a pinch, I’ve been known to use store bought and have recipes using them as well. 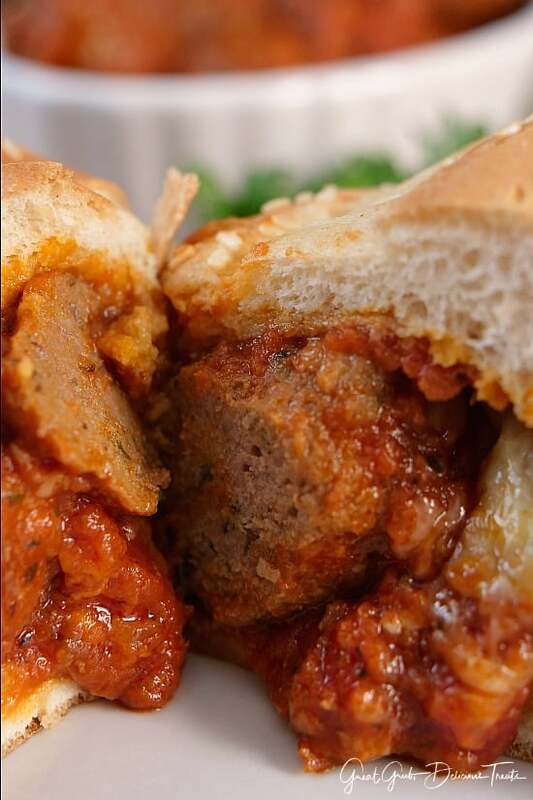 But, when you have the time to indulge in truly a delicious homemade meatball sandwich, it’s totally worth it. Start out by mixing all the ingredients for the meatballs together and shape into small balls. 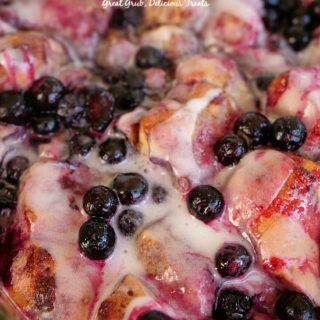 Bake for 15 minutes and then add them to a smaller crock pot. 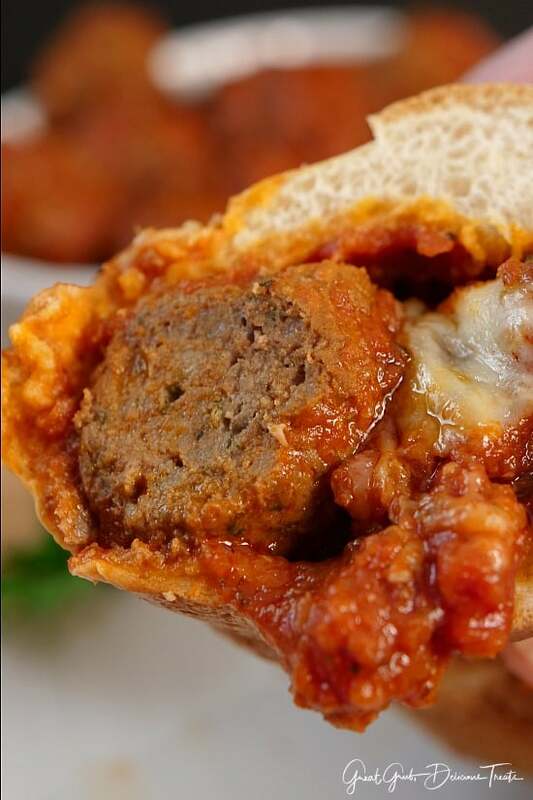 Pour on your favorite spaghetti sauce and 4 hours later delicious Italian meatballs will be ready for their glory on a french roll, topped with Provolone cheese and then toasted to perfection. 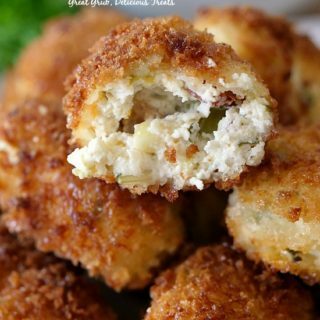 If you love Parmesan cheese, sprinkle some on top of the meatballs before adding the cheese. My bread got a bit too toasted but it was delish just the same. 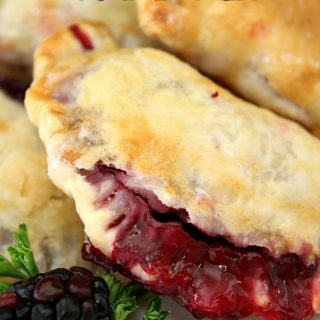 Watch closely and remove the sandwiches from the oven when they’re toasted to your liking. 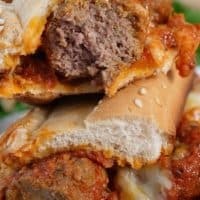 Biting into a delicious homemade meatball sub is absolutely scrumptious with all the flavors of the sauce meshing into the bread and the tenderness and flavor of the meatballs. There’s nothing like a biting into a tender meatball and tasting all the flavors which made it so mouthwatering. If you love meatballs, you really should try this recipe. Super appetizing! Look at that meatball! So moist and tender. Seriously, these are some of the best meatballs I’ve ever tasted. And, look at that bread with all the sauce soaked into it. Ohhh, and that cheese, yum! 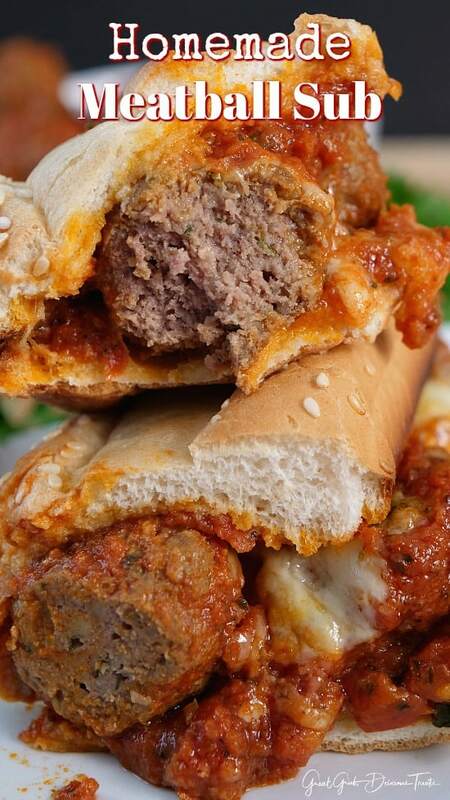 Are you craving a delicious homemade meatball sub yet? 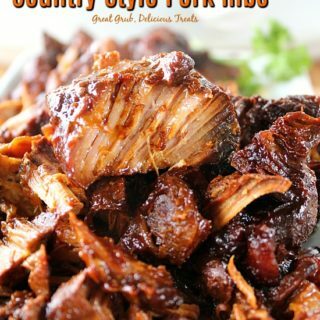 I sure hope so and hope you and your family enjoy this recipe. Make sure to pin this recipe to your Pinterest boards for easy access when you are ready to indulge in a tasty meatball sub. 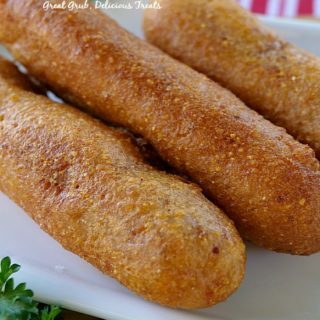 Here are a few more delicious sandwich recipes that are on the blog: Meatloaf Panini, Chicken Cordon Bleu Grilled Cheese, Crispy Veggie Sandwich, Beefy Torpedoes, and our very popular Fried Egg Grilled Cheese Sandwich, plus many more. 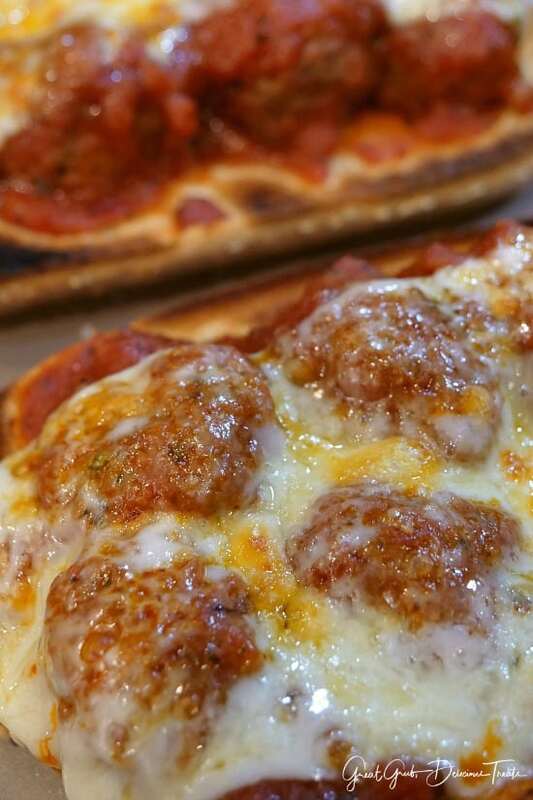 Spoon meatballs and sauce onto bread, top with Provolone cheese, toast in oven for a few minutes at 350° then enjoy!